Hello Space Cadets, today is my inaugural Marine Monday where I slowly introduce you to the world in which I’ll be writing in. I stole the concept from Corey over at QuintessentialEditor, who does is weekly Wasteland Wednesday where he sells up his post-apocalyptic world! Grab some popcorn with him, cause you’ll love the show! Now, back to your newly scheduled program! In honor of my first Marine Monday, I wanted to introduce you to my favorite world! I was such a fan that I was invited to write in it! If you’ve read any of my posts, you’ll know that I’ve mentioned that my first set of novels will be written in the Human Legion Universe. This is a series of novels written by author Tim C. Taylor centering around the lives of post-Earth humans. Their ancestors were given away as children, in return for protection from outside alien incursions. By giving up a million 5-year old humans, whose descendants would be trained into the fighting arm of their new overlords, Earth would become a White Knight client state. This relationship made Earth off limits to other species in the Trans-Species Union. If you are looking to understand these excellent works, I’d summarize them as Starship Troopers meets Soldiers, the 1998 cult classic starring Kurt Russell. The characters are raised/brainwashed from young kids to be nothing but killers, super soldiers, members of the Human Marine Corps. This book ranges from small-scale rebellion through to epic space battles… from teenage infatuation to the tragedy of doomed love… and everywhere with dark conspiracies that threaten the existence of humanity, the Human Legion’s fight for freedom has been a hit with science fiction readers worldwide. In its first year, the series earned hundreds of five-star reviews, sold 70,000 copies, and hit the #1 bestseller spots for military science fiction and space opera in the US and elsewhere. Since then the fandom has only grown! Find out more on Tim’s site and give it a go. I highly recommend it! Don’t believe me, try it out! If this sounds interesting, and it should because it is awesome, then go get a copy for yourself! You won’t regret it! 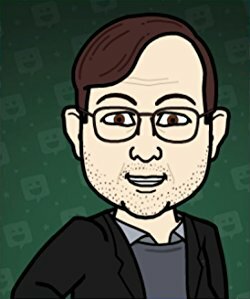 PS: Tim has a short story available for free right now! 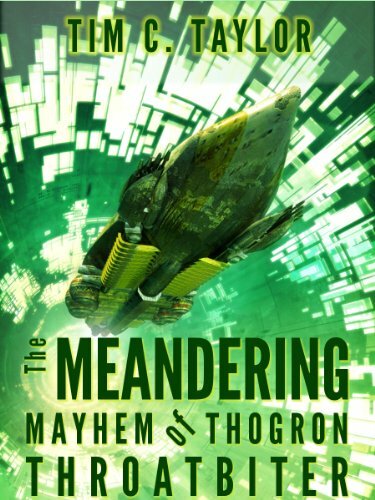 Check out The Meandering Mayhem of Thogron Throatbiter and enjoy an awesome ride! –> The second image was a screen capture from Tim’s Human Legion webpage, used with his permission. –> The last image is from Google’s “labeled for re-use” section of the Creative Commons. Will do. It might take a bit, though. I’m working through a big to-read pile! I know, it’s crazy isn’t it? !